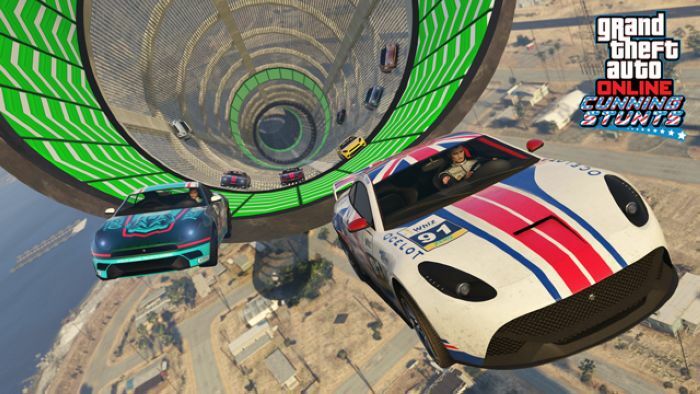 GTA V’s Online mode continues to drive into absolute insanity with the Cunning Stunts DLC. 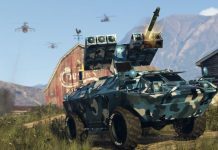 Of the new content, there’s six new races and three new vehicles, ready for you to take to stunt-ing about. It’s absurd, but also so, so good. Continue reading to find out what’s included. 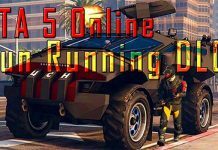 The six new races will take place throughout Los Santos and Blaine County. There’s Afterburner, intended for bikes; the gravity-defying Double Loop for Supercars; Forest for stunt bikes; High Flier, also for bikes; Trench II, for muscle cars and Zebra, which includes massive slingshots and vertical drops, intended for sports class vehicles. 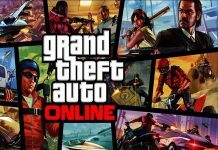 New vehicles in the game include the Ocelot Lynx, Declasse Drift Tampa, and Western Cliffhanger, which fall into the Sports and Motorcycle classes. 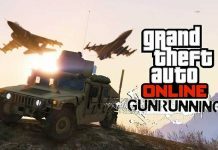 To help you get on with your own cunning stunts, GTA Online will also have a discount going on through July 25th. You’ll get a Silver Jumpsuit for just logging into the game, and can get a 20 percent discount on all Garages and Properties with Garages. There’s also a 20 percent discount on aesthetics, such as spoilers, wheels, tire smoke, skirts, exhausts, and horns. For more pretty pictures, check out the official blog post on the update. Let us know what you think in the comments below. Previous articleiPhone 8: A11 Processor from TSMC, OLED Display from Samsung?